(Robinson) – The next step for the Robinson/Crawford Enterprise Zone agreement is state approval. Following Tuesday vote by the City and last nights vote by the County Board the agreement will now move on to the state. That’s Crawford County Board Chairman Gareld Bilyew and according to Bilyew at the end of 2020 a new six man board would be created to oversee the Enterprise Zone. 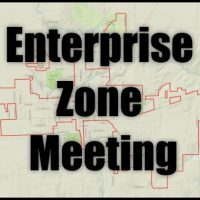 The administration of the Enterprise Zone will remain unchanged until the end of 2020, when the new the ZMB takes over.